With spring training right around the corner, baseball fever will soon be spreading. America’s pastime continues to grow in worldwide popularity. For those who have never been involved with the sport, some key questions may remain regarding the physical fitness demands placed on baseball players. 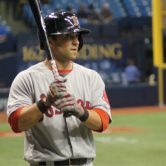 In this blog, I will attempt to knock a few baseball training-specific myths out of the park! Myth #1: Baseball players are not really athletes. As someone who has been in a dugout next to athletes like Ricky Henderson, Billy Hamilton, Sonny Gray, Manny Ramirez, etc., I can tell you that there are many fine athletes on a baseball diamond with a special combination of raw speed, quickness and raw power. Bo Jackson, Deion Sanders, Brian Jordan are some great examples; as well as many high draft picks that gave up baseball and went on to excel in other sports. One of my mentors was a strength and conditioning coach at the University of Texas who could verify that Roger Clemen’s legendary squat workouts were a huge component to his exceptional velocity early in his career. As a former football player (and from my experience training them) I would estimate that a baseball position player needs to run below a 4.6 40 yard dash in order to be a legitimate base-stealing threat. Mike Trout is a great modern-day example of such an athlete. And even the players who may not seem especially athletic when compared to sports like football, basketball, etc. possess superior hand eye coordination to almost any other sport. Myth #3: The human arm was not designed to throw a baseball at nearly 100 miles per hour. 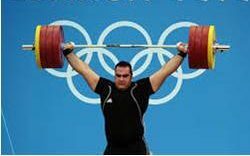 The body was not necessarily designed to perform many of the impressive tasks that highly trained athletes demand of it – across a multitude of sports such as gymnastics, track & field throws, weightlifting, etc. However, with advances in human performance and education training – to include injury prevention exercises incorporated into a good training program and performed regularly – the arm can withstand excessive biomechanical forces time after time if proper muscle balance is achieved. (Ex : – relative strength of internal vs external rotators within the rotator cuff). 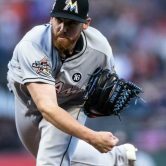 To remain healthy, pitchers must spend hours each day properly warming up the arm, stretching and strengthening it along with its stabilizing and decelerating muscles on an almost daily basis. Myth#5: Baseball players don’t like to train hard given the relaxed nature of their sport. I have found the complete and total opposite to be true. Some of the best work ethics I have seen belonged to professional baseball players. Many have no problem putting in the extra work, even is season. In the offseason (typically November through February) baseball players enjoy pushing their body to the limits and watching the adaptations grow. As a general rule, many of them are highly self-motivated and extremely competitive, so they react well to a periodized plan with suggested loads, or timed agility and conditioning drills. Debate: Who are the best athletes in the world? Myth #2: It doesn’t take much skill to hit a ball. -summon a perfectly timed equal inertia from the body in order to meet the ball and counter its momentum (average incoming speed nearly 90 mph) with clean bat contact right at the moment it crosses the plate. Myth #4: Baseball players do not have to be in shape to play the game. To counter the velocities mentioned above, baseball players must possess and maintain impressive strength and incredible power through the legs, hips, and stabilizing core muscles. The abdominal core must be strong and well balanced to resist injury while torquing at high speeds under extreme rotational strain. The forearms of baseball players (including pitchers) must be exceptionally strong to grip the bat and the baseball at high velocities. I have worked with several baseball players who could max out the measuring pin on the highest setting of a handgrip dynamometer. 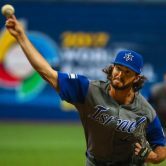 In terms of cardio, baseball pitchers average HRs are routinely at or above the 170s (beats per minute) while pitching; in fact, starters often throw up to 100 pitches or more at max intensity. And position players? In addition to being agile enough to accelerate quickly around the bases and get a powerful start out of the batter’s box or a jump into stealing a base, one must remember that over the course of a long summer season they play 160 games in a six month span – often getting no more than 3 off days each month. To be able to go out and perform each night even when the body may not be feeling the best is a total war of attrition, and it takes much time and effort to building and maintaining a strong body resistant to injuries over such a long time span. I have heard that quite frequently in the exercise world that short bursts of extreme energy (such as sprinting or weight lifting) kind of “jumpstarts” your metabolism allowing you to burn fat faster. It is difficult to differentiate between what is true and what is false. Ultimately I would like to know how short, burst activities affect the human body [metabolic rate]? There are a couple of very plausible explanations to add substance to the notion of high-intensity exercise “jump-starting” metabolism. One deals with a physiological factor known as EPOC (excess post-exercise oxygen consumption), and the other with a general knowledge of the bodies limited energy systems. While it would be difficult to explain in an email, I can tell you that the culminating effect of weight training on fat metabolism cannot be ignored. In fact, there was a sustained period in my life where I was eating 9,000 calories a day training to play college football, and yet during this time neither my body fat or overall weight were increasing in the slightest – this despite the fact that I was doing virtually no cardio-style training, and was ONLY lifting weights or doing high intensity sprints and plyos. Is maximal lifting (100% of PR) recommended for high school aged student athletes, or should they be more focused on light weight, high repetition workouts? 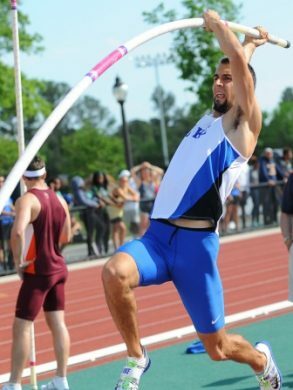 In my opinion, assuming technique is being taught properly, the loads that a high school athlete trains with can (and should) vary greatly on an individual case-by-case basis. Some high school boys, for example, are nearly fully developed by age 16-18, whereas many others are still virtually pre-pubescent at age 15-16; and the latter should not be lifting weights heavy, if yet at all. However, if these teens are sufficiently fully developed, recovery hormones secreted at rest by young men and women in this age group are usually higher than at any other time of their life, enabling them to train very hard with less physical hardships. Currently, my weight lifting weekly routine has me hitting one major muscle group a day (e.g. back day, chest day, etc.). I’ve been doing this routine for the past 6 months and have seen great results in overall body composition and increase in maxes. Currently, my goal is to decrease overall body fat percentage and maintain strength. I know many people recommend hitting major muscle groups two times a week to see better results. In order to achieve my fitness goals, would you recommend hitting major muscle groups twice a week? The best answer probably depends on what is most important to your fitness goals. If overall strength is your priority, a transition to working major muscle groups twice weekly will produce exponential increases. However, I know that bodybuilders prefer to devote an entire day to a single muscle group since it allow them to focus more attention on developmental gains or changes in appearance for vanity purposes. Unless you are interested in doing bodybuilding show competitions, I encourage you to graduate to the twice-weekly approach and discover new-found strength in areas that you haven’t realized before! WHAT TO EAT…FOR THE ATHLETE! One of the most overlooked realizations in today’s fitness and wellness realm is the forgotten fact that athletes calorie needs are different than the standard population. Fad diets (often ill-advised even for the sedentary people that they are marketed to) have no place on the athletes plate. Rather, they must adhere to a much higher caloric intake, with higher levels of all macronutrients; not just protein, but fats as well, and especially carbohydrates. Recently I submitted a research experiment I conducted at Cal Poly State University: the study attempts to offer a new equation for the exponentially higher resting metabolic rate of [college] athletes when compared to more dated prediction equations used for other more normalized populations. My research showed a difference of over 400 calories in this RMR value, which is only a small fraction of total daily caloric expenditure even before exercise is accounted for! 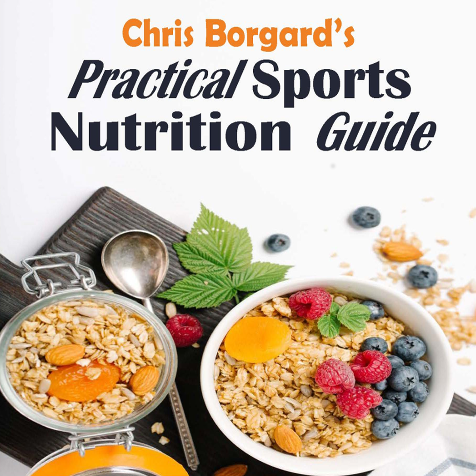 Also this past summer, I released a sports nutrition ebook that serves as a practical, quick reference guide to the athlete who seeks more new and healthy options in their diet for good sources of fuel. 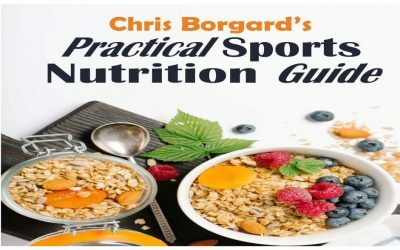 My hope is that the ebook serves as a basic but much-needed summary of the sometimes intimidating and broad spectrum of sports nutrition for an athlete who is bombarded by uneducated opinions and just doesn’t know where to start! Fad diets have no place on the plate of an athlete. In this day and age of fitness fads, it is easy for the lines to be blurred between calorie-burning crazes and fundamental strength and conditioning training tailored to sport-specific needs. That isn’t to say that cardio machines, jump ropes, agility ladders, punch mitts, battle ropes, tires and hammers, etc. can NEVER play a part towards purposefully training an athlete. But too often in the strength and conditioning profession, we see coaches or trainers waste valuable square footage space in the weight room with movements designed to improve cardiovascular fitness. This also takes away from time that could be dedicated to an athlete actually getting STRONGER and more POWERFUL with more equipment designed and housed inside the weight room for those purposes. Remember, if an athlete does not have a good base of cardiovascular fitness in the first place, then chances are they are not yet ready to accomplish much in the weight room; and most of that preliminary CONDITIONING can take place elsewhere first (or during other coordinated training periods). Can they structure a workout routine in order to maximize growth and physical or performance gains? Is the workout challenging but still capable of allowing you to recover fresh and get progressively stronger on a weekly basis? 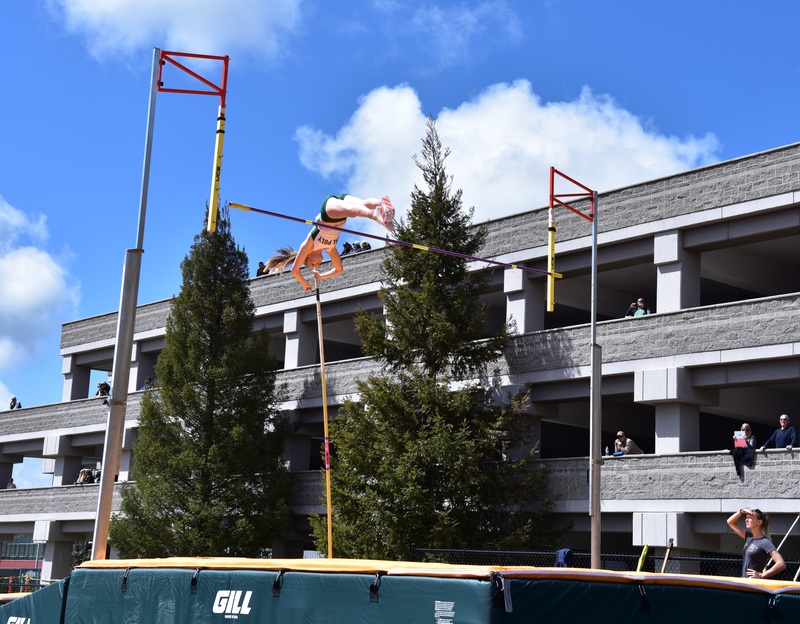 Often times a coach who has once trained as a high-level athlete themselves will write the best training program simply because they know how it feels to perform one. Are they capable of really coaching with good results? Can they take multiple athletes and provide real-time feedback and expert instruction to create bigger, stronger, faster, more agile bodies? Simply look at the physical capabilities and the injury history of the athletes they have closely worked with for the answer. Some coaches may even have adequate knowledge to teach these effective training methods, but refuse to incorporate them in their program because they consider it “too risky” for their skill set. Do your coaches look the part as fit and healthy human beings themselves? Can they command respect and successfully impart an unlimited amount of training knowledge without yelling, screaming, threatening, or being unprofessional? Athletes are very high-functioning technical beings – meaning they are quick to pick up on and emulate what an example does versus what that example or role model might simply say…and actions do speak louder than words. Remember: Conditioning is easier to develop than acquired strength, power, speed, and quickness. Make sure to develop the latter skills first – do not impede athletes’ development by wasting time trying to build the former in the weight room setting. Conditioning cannot guarantee any of the latter skills; but improving these skills can greatly contribute to an athlete’s conditioning. 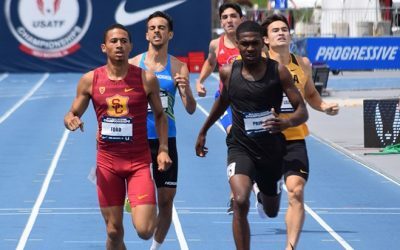 This past weekend, I want to recognize the remarkable achievements of two elite athletes that I have worked with for years now in the weight room: Derek Thomas and Phil Reid – both of whom recently ran to top-15 finishes in the 800 meters and 5,000 meters (respectively) at the 2018 USATF Championships held in Des Moines Iowa. 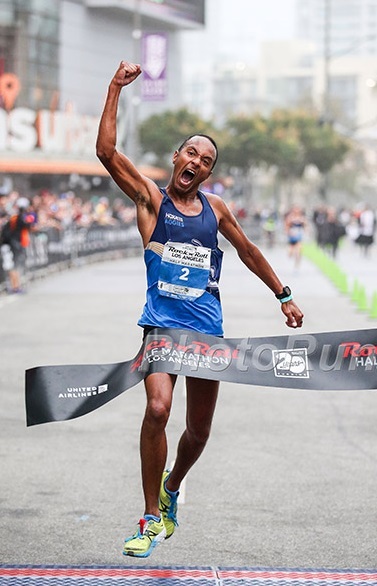 These two have much in common: they both currently run for the same professional running club, both ran in the same college program, and they are both enjoying success well after college.